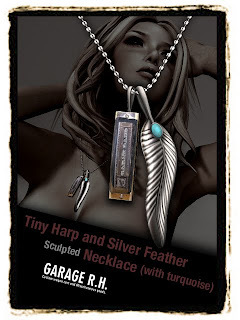 Tiny Blues Harp and Silver Feather(withTurquoise）　Necklace. Most parts are made by sculpted prims. Get the bear for Japanese.